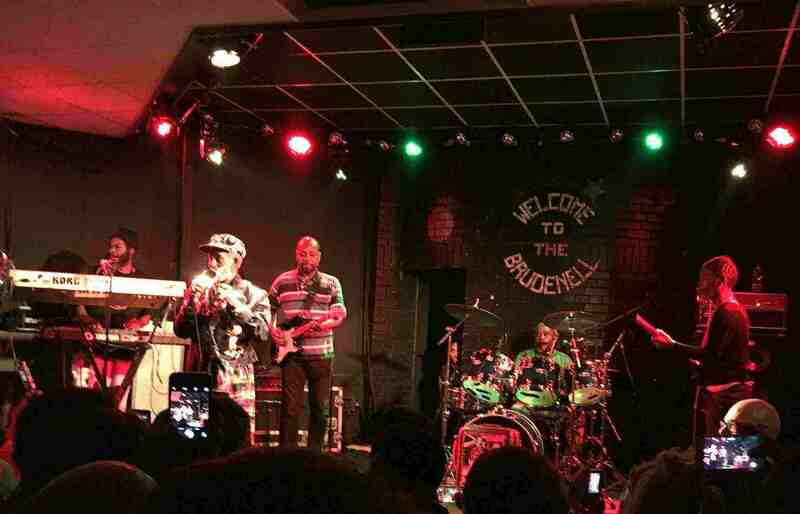 The listings at the Brudenell Social Club never fail to impress, and the presence of legendary artists like Lee “Scratch” Perry certainly play into the building’s reputation – not only as a fantastic venue, but one that transcends genre and scene alike. Whilst the room filled with punters, and the queue that wound out the front doors dwindled, the support act for the evening started the party up on stage. Mad Professor quickly stirred an already high-spirited crowd into a frenzy with his live mixing. As one of the pioneers of transforming dub for the digital era, the Mad Professor certainly made a bold stab at ensuring that anyone of the younger generation was engaged with what was about to unfold in front of them, with a rumbling rendition of Damian Marley’s ‘Welcome To Jamrock’. Throughout his set, Mad Professor mixed together beats and big basslines, lifting different elements at different points leaving room for rhythmic delays to penetrate deeply – either on the tracks in front of him or on his own live vocals. Whether you’d managed to get in early, or had found yourself towards the end of that lengthy queue and hence the back of the room, everyone was hit by smooth and rounded bass-lines, the sub frequencies of which left rib cages rattling. Towards the end of his set, Mad Professor performed a dub version of classic Stevie Wonder track ‘Superstition’, in which a dub bassline punched through big and loud, while that distinctive riff was chopped up and toyed with to great effect. Mad Professor’s contained set-up was quickly stripped off stage, and before long, Lee “Scratch” Perry’s backing band were out and maintaining the energy created amongst the crowd by the opening act. After an instrumental rendition of The Abyssinian’s track ‘Satta Amassa Gana’, the Grandfather of Dub himself appeared from backstage, to great applause. From the word go, Lee “Scratch” Perry connected with his audience, muttering back and forth in conversation over the microphone and putting his palm into the crowd to touch his devoted followers. His camaraderie was admirable and his light-hearted approach to the evening seemed to relax the audience and open them up to the exhibition he was putting on. While the band was quick to roll out of songs and straight into others, it was the Grandfather who set the pace for the evening. If he felt like something had happened too soon, or the bass and drums needed longer to sit with each other before the guitar and keys came in on clinking off beats, he said so. Similarly, at points throughout the show, Perry almost played games with the sound engineer, challenging him to fit delays on vocals that decayed perfectly in time for the next to take priority – an instantly recognizable trope of the genre Perry presides so paternally over. The direction that he gave to his band and his engineer throughout the evening really highlighted his capabilities and tenacity as a producer, and these attentions to detail are what have earned him his reputation over the years. Throughout the show, Perry covered a list of reggae and dub classics that have his name stamped on them – the tip of the iceberg with regard to his life’s work. Early on there was an eerie rendition of ‘Disco Devil’, a tune which featured in both Mad Professor and Perry’s set. Perry’s interactions with the crowd over the set were both comical and warming; he payed particular attention to a young, curly haired girl stood in front of the stage before the band rolled into ‘Curly Locks’, a song that Lee worked alongside reggae singer Junior Byles to create. Perry’s renditions of songs were loose and spontaneous, often distracted, but then influenced, by something happening in front of him – for instance, a small toy duck being passed to him by a member of the audience. While a recent Guardian critic of the grandfather’s live performance targeted Lee “Scratch” Perry’s show as “a sprawling one-tone set of improv mumbling”, it is in this sporadic and unexpected nature in which Perry’s show comes alive. Yes, at this age, Perry may not be the best singer in the world, but his joy in what he is doing emanates from the stage and infects his audiences; it’s this that makes his shows truly a spectacle. Before the set was done, the band fired out a version of classic Lee “Scratch” Perry work, “Police and Thieves”, a song covered by The Clash but made famous by reggae legend Junior Murvin. Almost as a reminder of the calibre of artists he has worked with, Perry ensured to feature a few Bob Marley and The Wailers tracks. Both ‘Sun is Shining’ and ‘Crazy Baldheads’ had the crowd swaying in sync with reggae beats, and Perry rounded the set up with a lively version of ‘Exodus’. Leaving the stage before the band, Perry allowed them to play out the rest of the track and soak up the applause of the Brudenell. TSOTA: How did you enjoy the show? LSP: Yeah it was a good show, yeah. TSOTA: What makes the difference between a good show and then a special show for you? LSP: When the songs are good, the words are good, the musicians are good and I am good and God is good and God is great. Because God is good and God is great, God makes all things that aren’t possible, possible. You got to see how good God is and he makes things possible. God is good, God is great and God is kind. TSOTA: When you come abroad to countries like the UK, and you see all of your different types of fans how does it make you feel? LSP: My special song is ‘Happy Birthday’ – it’s fantastic; it never dies. That is the message and the secret of life: ‘happy birthday’. Somebody tells you to get happy, another person wants you to get happy, someone special wants you to get happy, and I would not say ‘sad birthday’ to my fans. I only say ‘happy birthday’ to my fans to make my fans happy forever. TSOTA: You wish that every day was everyone’s birthday? LSP: I wish that every day my fans are happy, because they love me and I want to make sure they keep on loving me; so I wish them happiness. TSOTA: Is that how you keep on going and playing gigs at this age: through wishing people happiness? LSP: I see my fans like myself. If my fans are unhappy, I don’t want them to be unhappy, so I wish them a happy birthday. My fans love me and I love them, so they give me lovely presents – because my fans want me to be happy! They give me wonderful presents – did you see the presents they have given me? Shirts and things; wonderful presents. TSOTA: Yeah I saw today that you collected a couple of presents, was it some gloves and a toy duck? LSP: A golden duck, a baby. A baby duck. Everything depends on the way people think. And the reason that my fans are special is the way they think. They think I am a baby, give me presents like I am a baby. TSOTA: So do you feel like your fans care for you and nurture you whilst you are away on tours in return for the warmth you give out in your shows? LSP: Yeah, what’s inside of the people comes out. What’s in their thoughts comes to life. TSOTA: So if lots of the trinkets you wear on your hat and your boots are given to you by fans, what do all the mirrors mean? Do they symbolise something? LSP: Well if you want to see yourself you’ve got to have a mirror, no? So a part of me is the mirror. And I’m the man in the mirror that Michael Jackson was talking about. If I changed my ways I couldn’t change my face. When I change my ways and I see lots of my fans are white and me not have much black fans at my show, I think it’s okay; if anyone wants to come I think it’s okay. TSOTA: It really is clear from the start of your show that you are so welcoming to all types of people. Are the places that you go, the Brudenell in Leeds for example, handpicked by yourself? LSP: Everything is perfect. Everything is perfect and 100%. I mean, when I look and see all my fans and the place is full, then what else could I do apart from thank God. If I didn’t have all of these white fans in countries like the UK then my show would flop, I would have no show. TSOTA: When you released a lot of your earlier work, you released in Jamaica and the UK. Has the rest of Europe and say, places like Switzerland where you live now, become equally special places to you? LSP: Yes. I love the mountains and I love the stones. I love creation and I love nature, when I’m there, there is the exact type of things that creation needs. The stone, the ice, the way the globe is set. I live there because of the atmosphere. The atmosphere makes me feel fresh. Totally fresh. TSOTA: Do you have a spiritual connection to where you live, then, and the studios that you had there? LSP: It’s the nature, the nature is the creator. Without nature you can’t live. If you have no nature you can’t be classed as nice. You have to love. Everything is for everything. TSOTA: Thanks for giving me some of your time, I really enjoyed speaking with you. 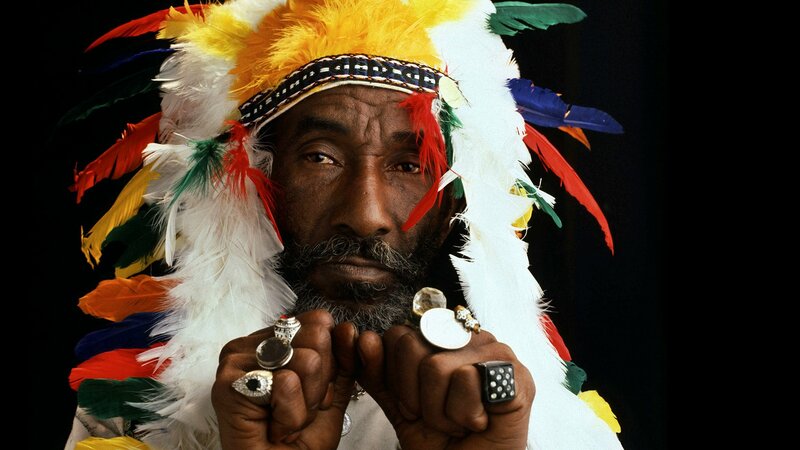 LSP: Enough love to Yorkshire from me Lee “Scratch” Perry, and I’m glad that the young generation are loving me, because I created my life for the young generation and now that the young generation discover that I love them specially, then they love me too and that makes everything perfect. Like it should be. Me and the now generation. Me and the now people. For God’s sake, give the power to the people. I may have come away from the Brudenell without some of the answers to questions I had prepared about recording techniques and the Black Ark. Similarly, somebody else may have come away disappointed with the “falsetto-free” version of Police and Thieves. However these are not points to dwell on. One thing is for sure, and that is that Lee “Scratch” Perry is a legend, his attitude to life and happiness one to surely be learned from. 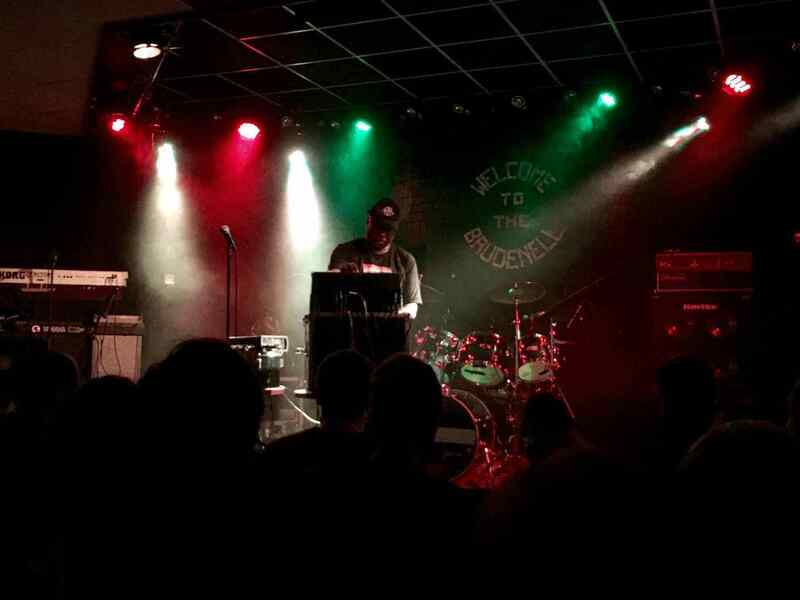 The show he put on at the Brudenell was a remarkable display of love for music and people, and whether or not he hit all the notes or even sang all the right verses throughout the show is negligible. We came to see a legend and soak up his warmth and it would be hard to leave the venue feeling like that hadn’t happened.